New York State has a strong industry growing winter and summer squash with over 5,000 acres produced in 2011 with a value of over 43 million dollars. A lot of summer squash is sold on the wholesale market, but nearly all of it is consumed fresh. 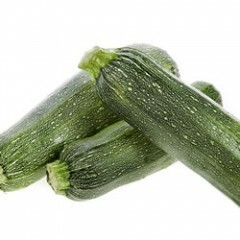 Zucchini and Summer /Yellow squash are dominant types of summer squash grown in the area. Powdery and Downy Mildew, and Phytopthroa blight are the major diseases we are concerned with. Viruses are of major importance for summer squash growers and have led to plant breeders and seed companies to develop and release many different virus resistant varieties. 2015 Zucchini Variety Trial Slideshow!